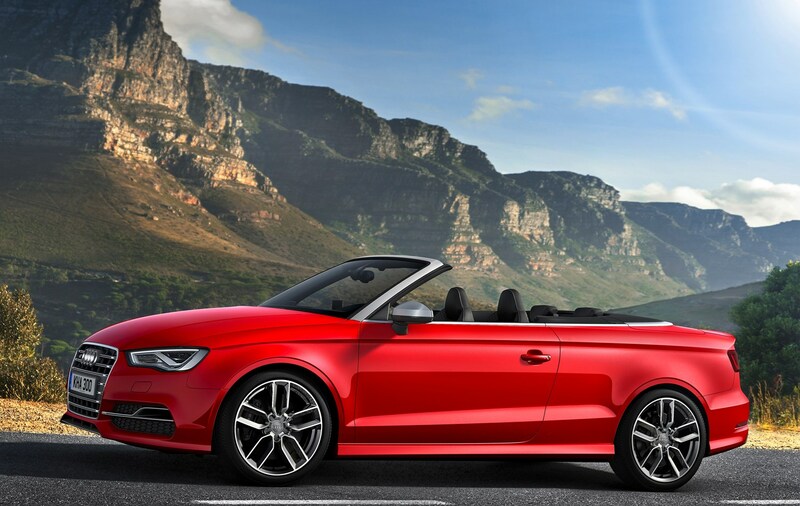 Insurance group: 36 - 42 How much is it to insure? 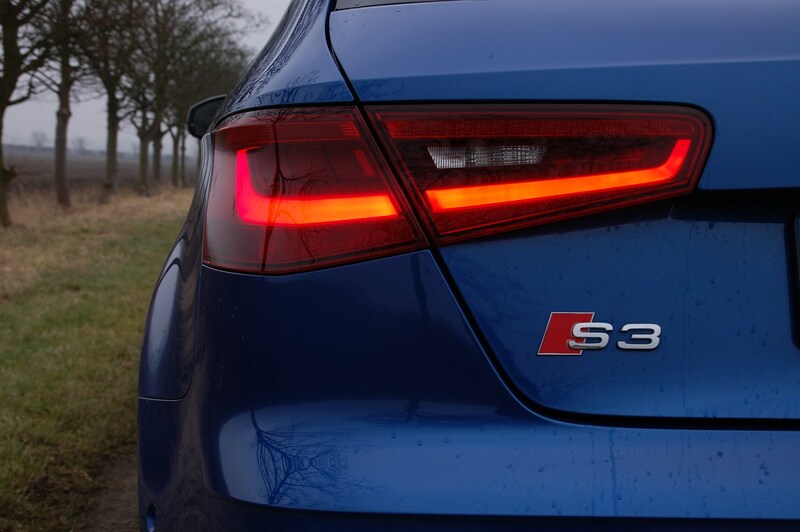 The new Audi S3 is a very impressive take on the ‘warm hatch’ – a hatchback which isn’t as hard-edged as a dedicated performance model yet still boasts decent performance. 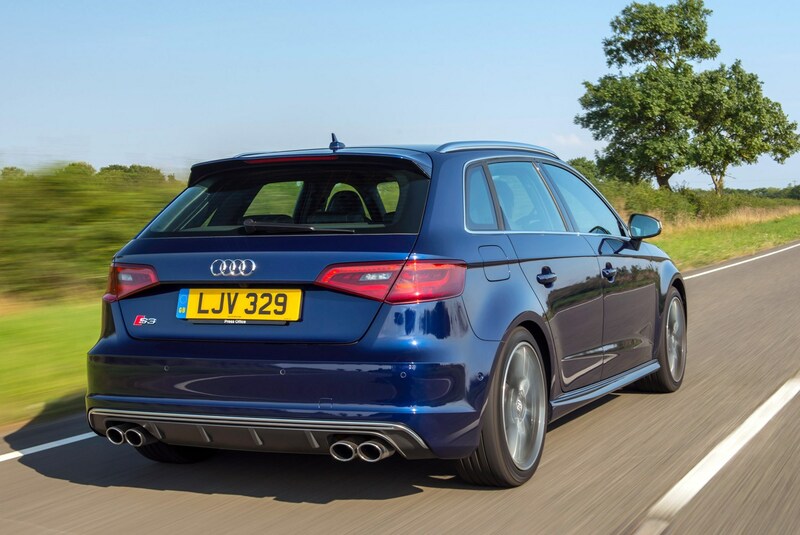 Rivals include the Ford Focus ST and the BMW M135i. 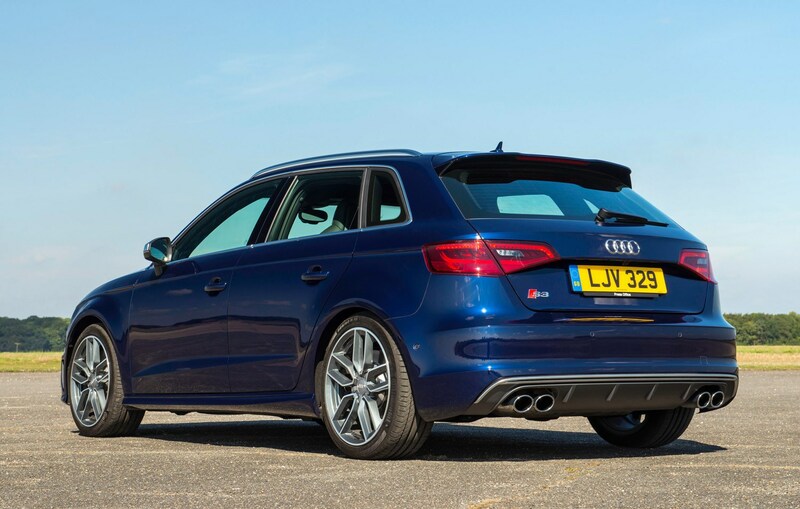 With only a few subtle cues to tell you this is a performance hatchback, you could be forgiven for thinking it’s just another A3 with some fancy alloys on. 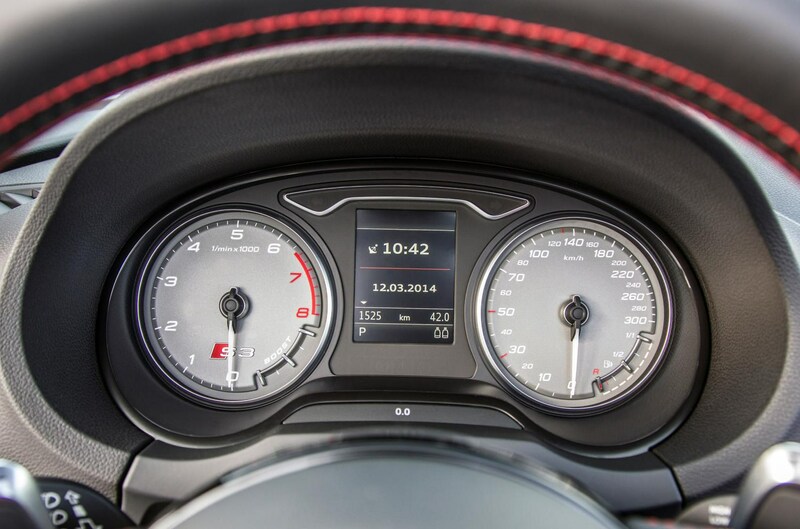 Five minutes behind the wheel will tell you otherwise, though. 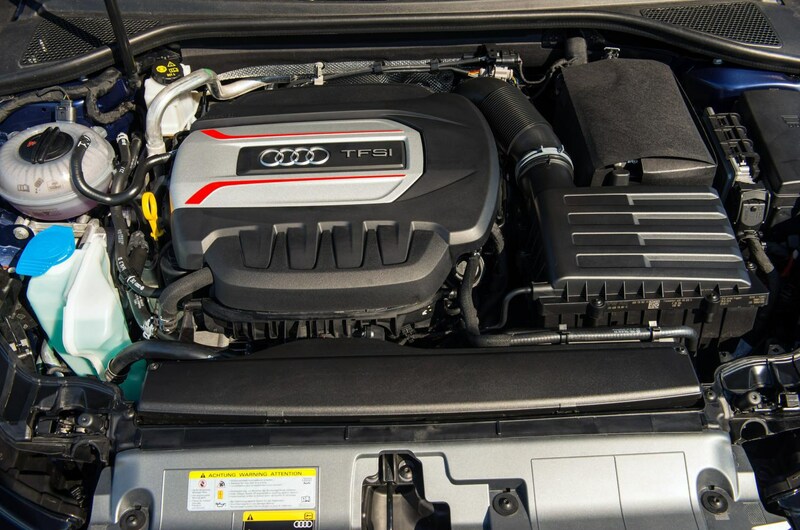 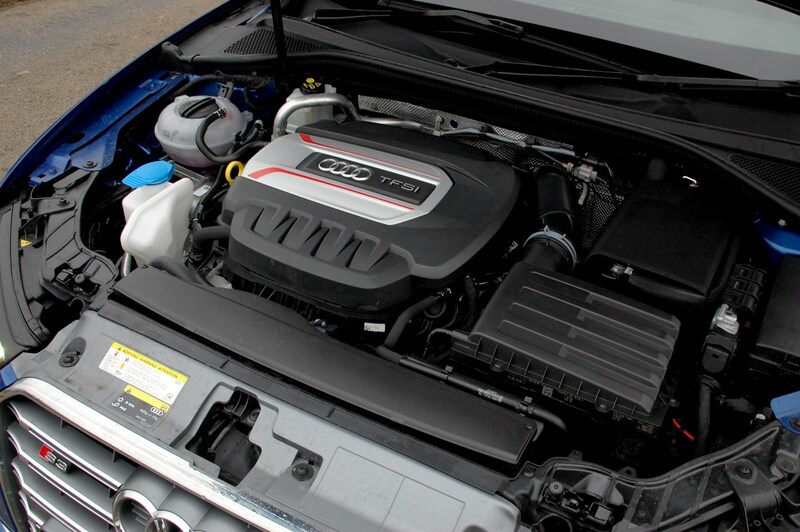 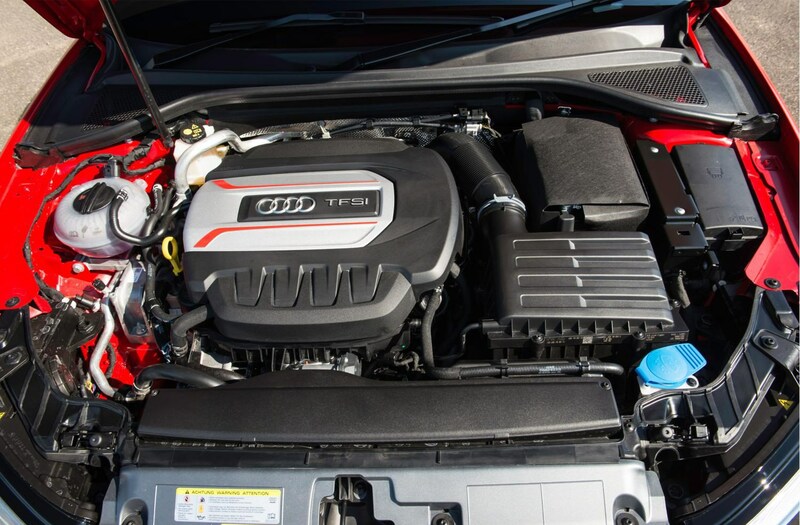 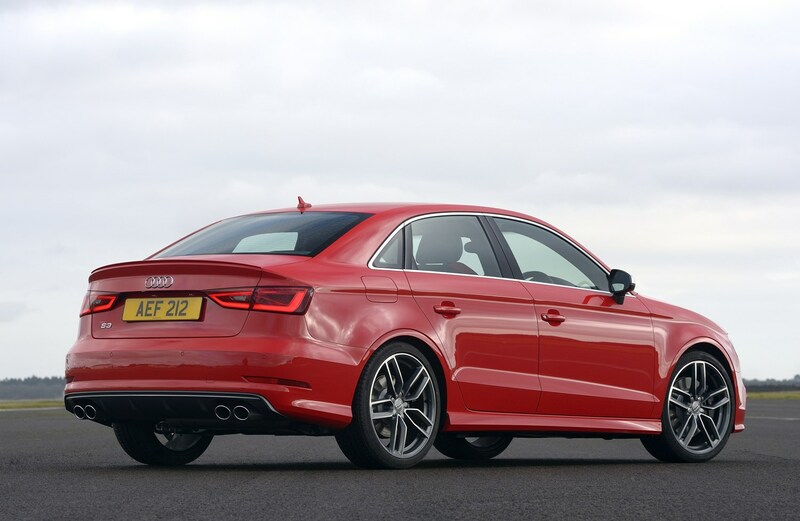 Under the bonnet of the S3 is a fantastic-sounding 296bhp 2.0-litre turbocharged petrol engine that, with the optional S tronic dual-clutch semi-automatic transmission, will propel the car from 0-62mph in just 5.1 seconds and take it up to an electrically limited top speed of 155mph. 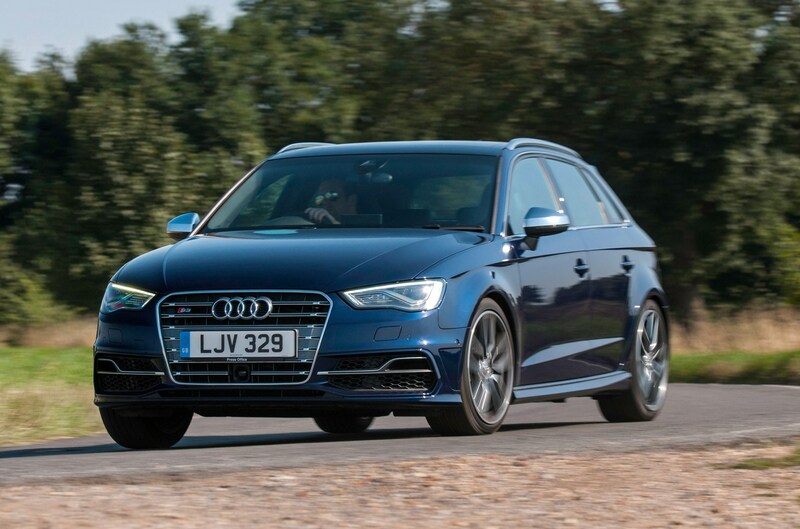 With an official average fuel consumption of 40.9mpg, it’s not quite as inefficient as the performance figures suggest either. 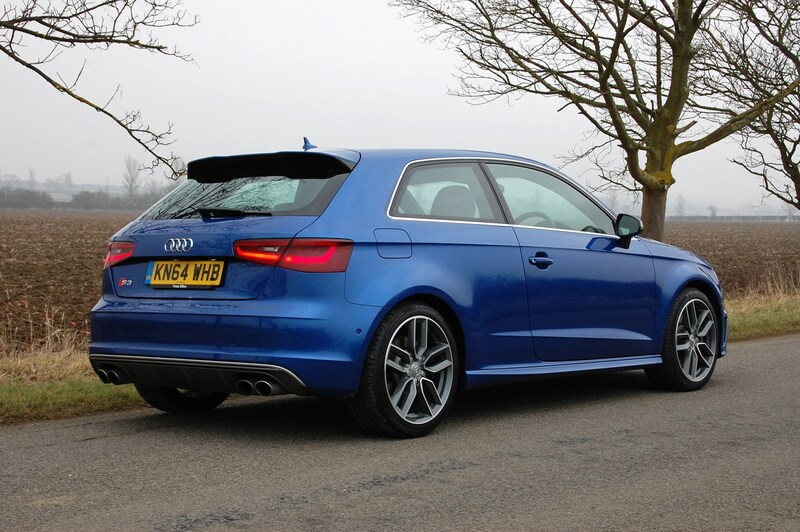 Indeed, CO2 emissions of 159g/km mean road tax isn’t going to break the bank considering how quick this car is. 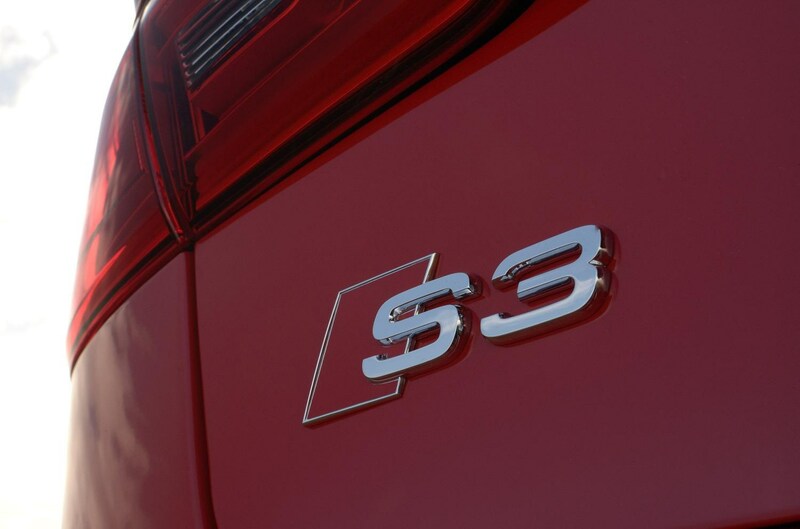 There are four S3 models. 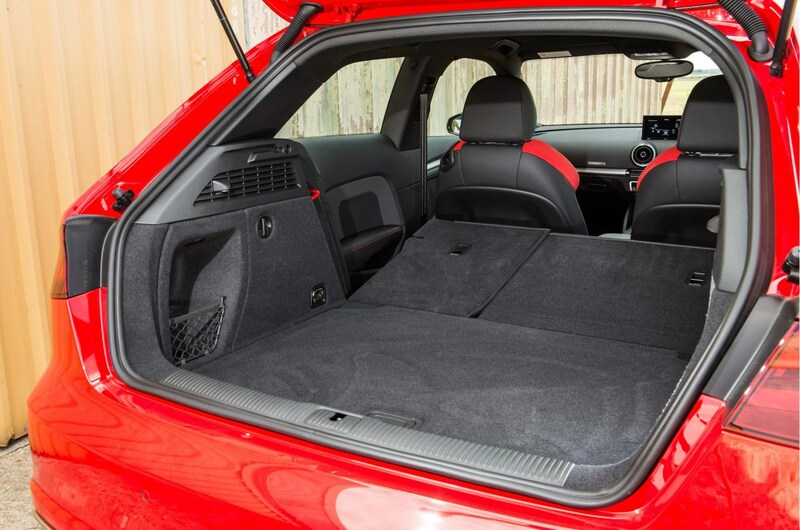 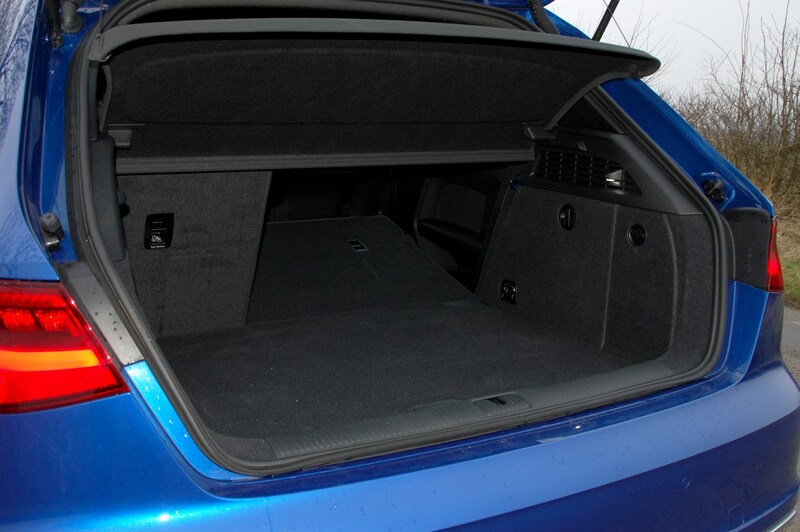 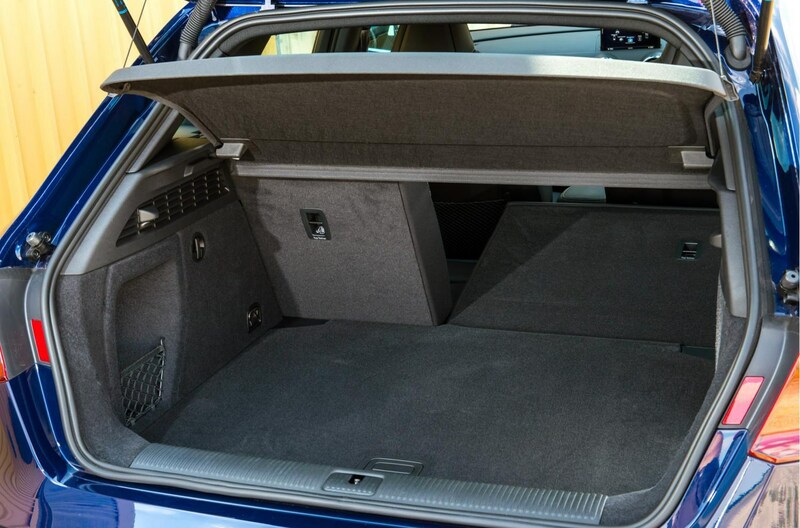 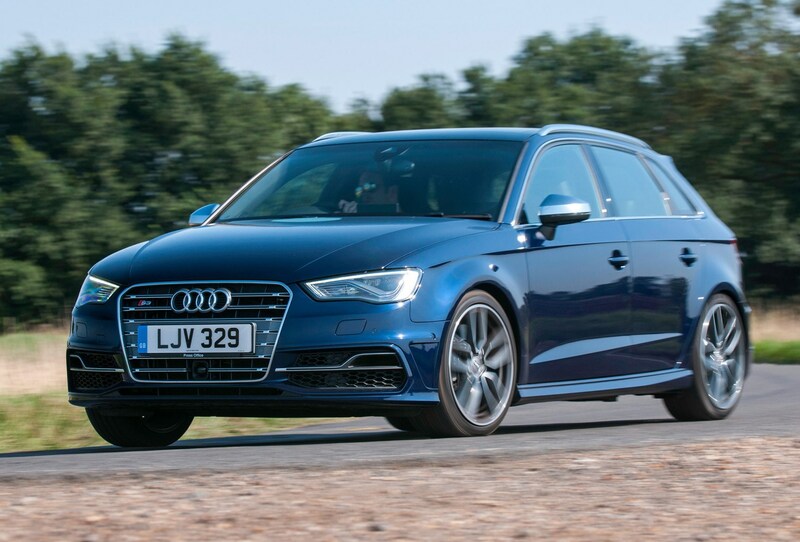 As well as a three-door hatch, also included in the S3 range is a Sportback version, which is a five-door with a longer wheelbase to give more space for passenger and luggage. 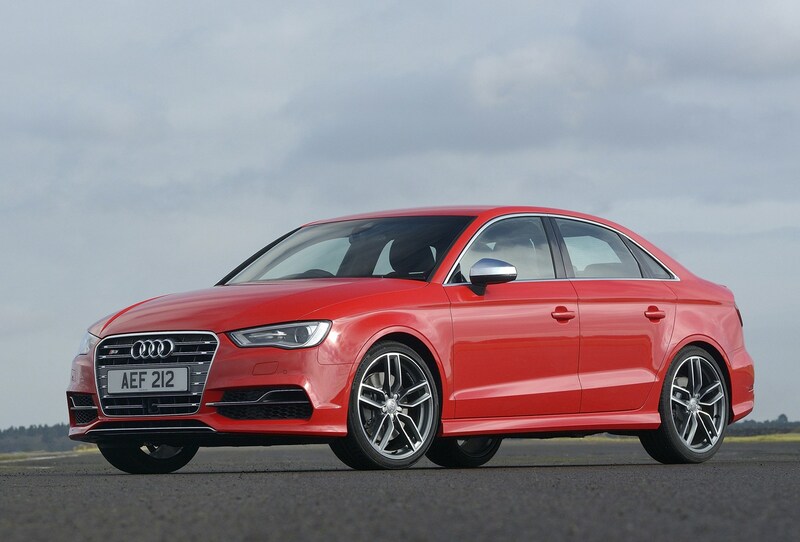 Then there's an S3 saloon, which aims to take on the Mercedes-Benz CLA by offering a four-door saloon body shape with more seats-up luggage space than the Sportback yet with the same amount of interior space. 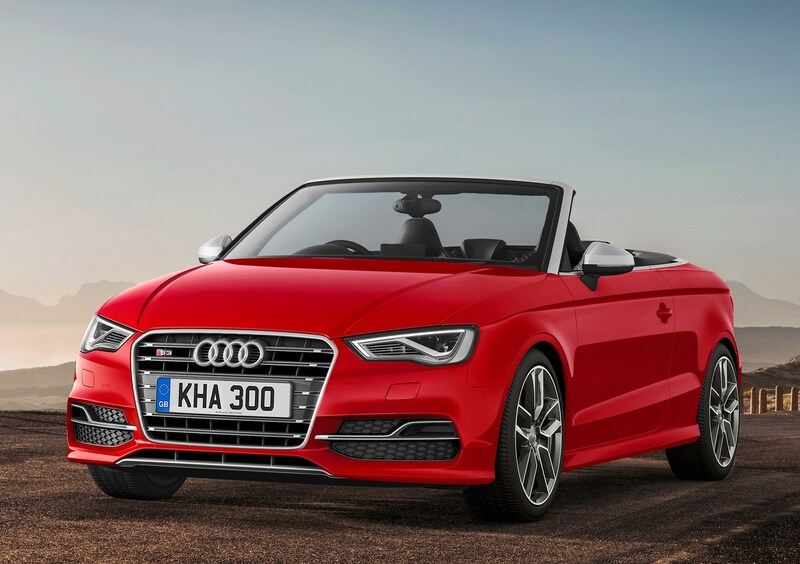 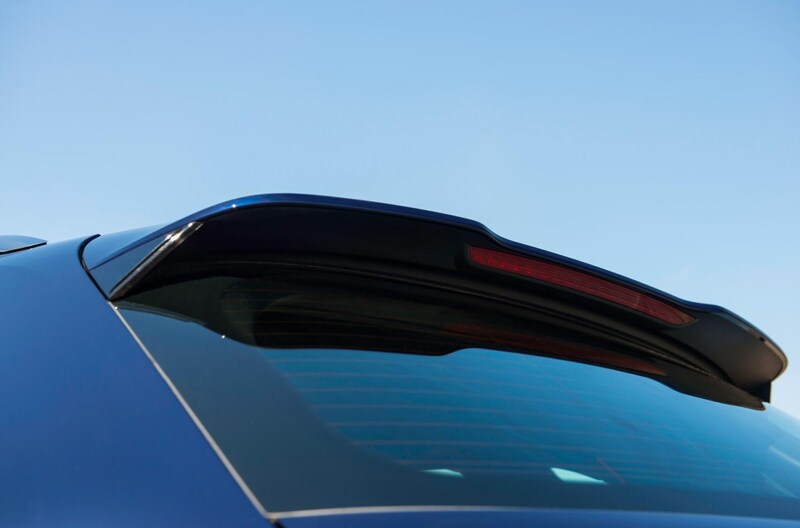 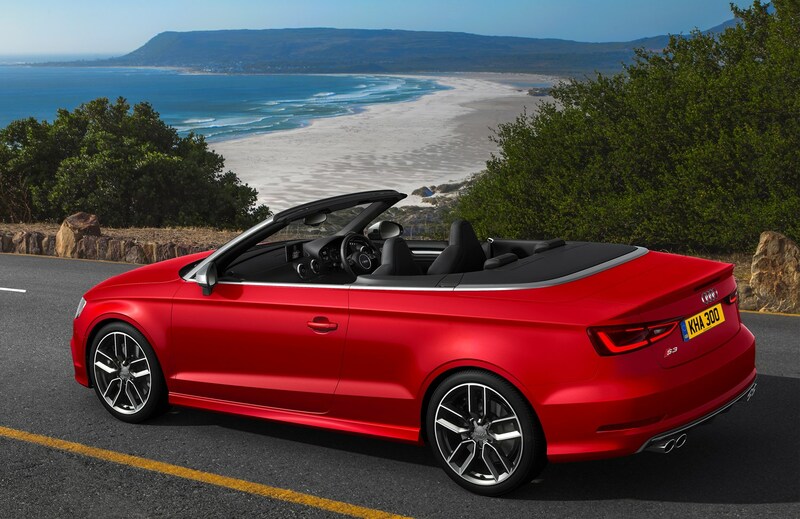 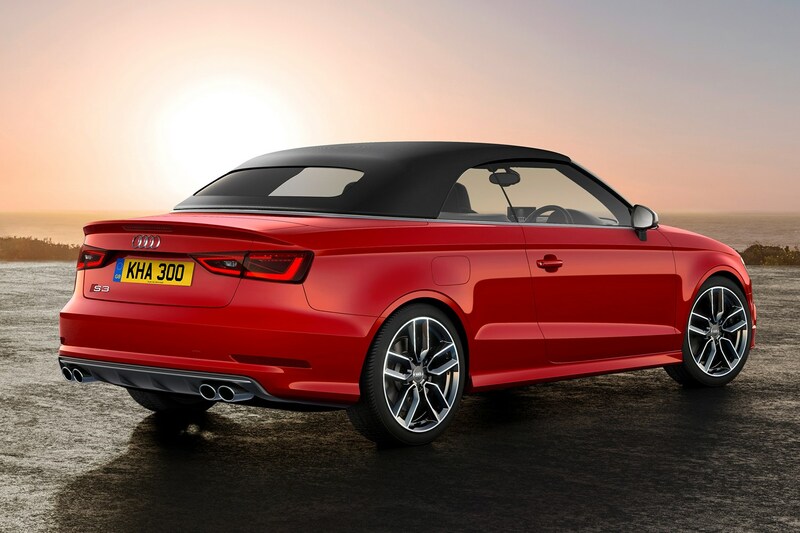 Completing the line-up is the S3 Cabriolet with a folding fabric roof that can be raised and lowered at speeds of up to 31mph. 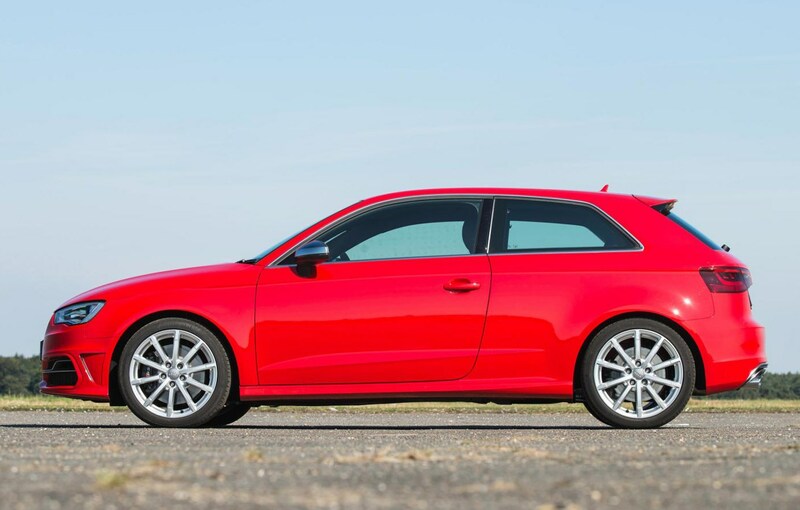 The 2.0 TFSI in the Audi S3 is new and the only thing it has in common with its predecessor is its displacement of 1,984cc. 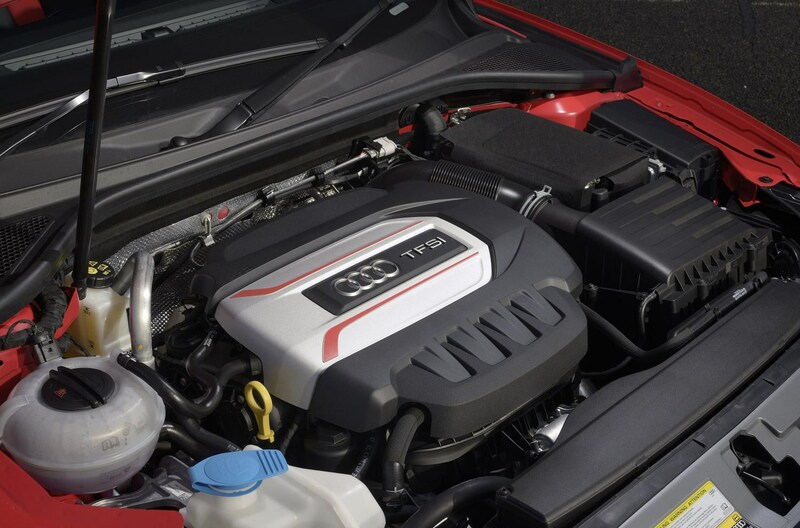 The four-cylinder unit delivers a 380Nm of torque. 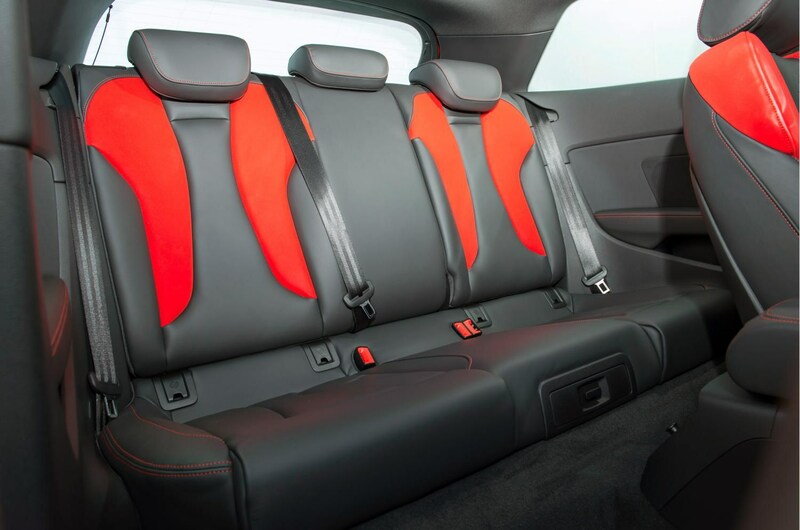 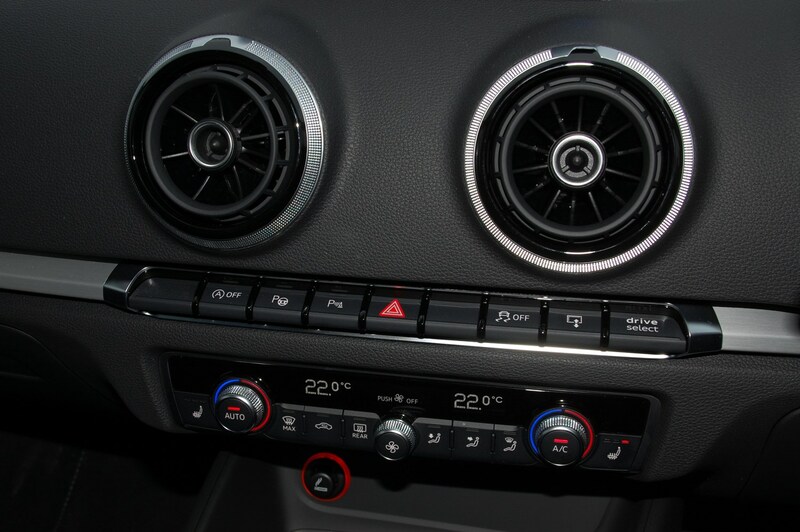 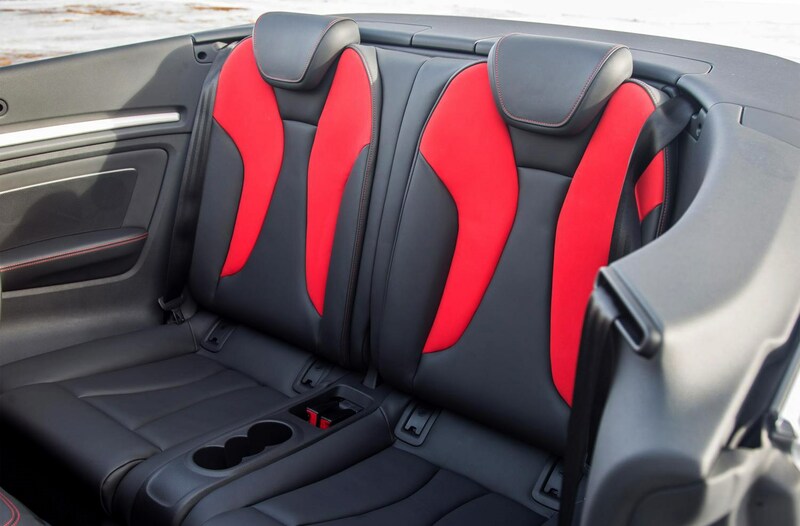 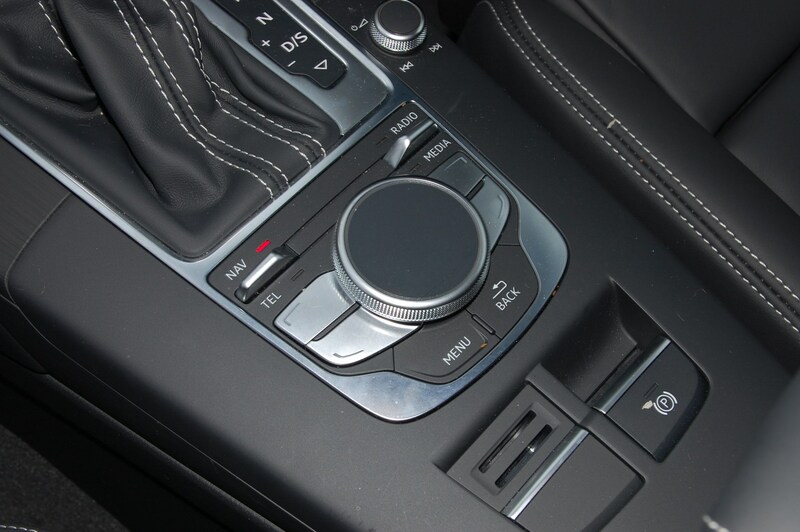 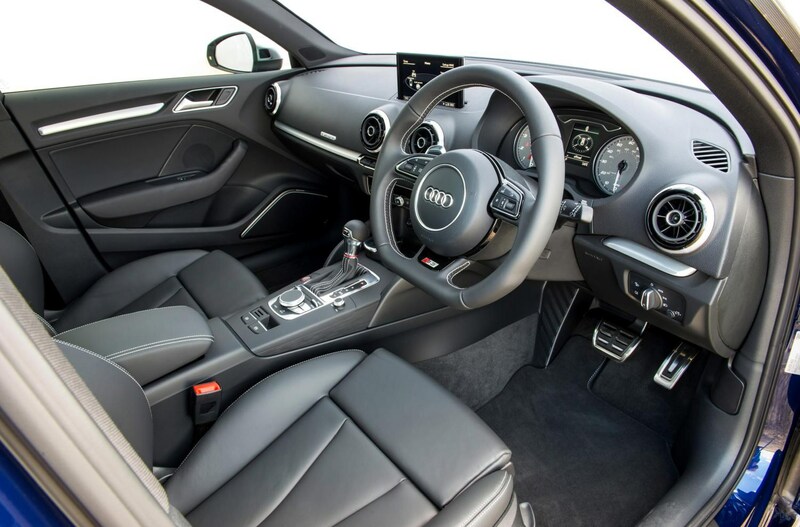 Its soundtrack is pumped into the cabin via what Audi called a ‘sound actuator’ in the bulkhead, and of all the systems we’ve tried this one is most realistic. 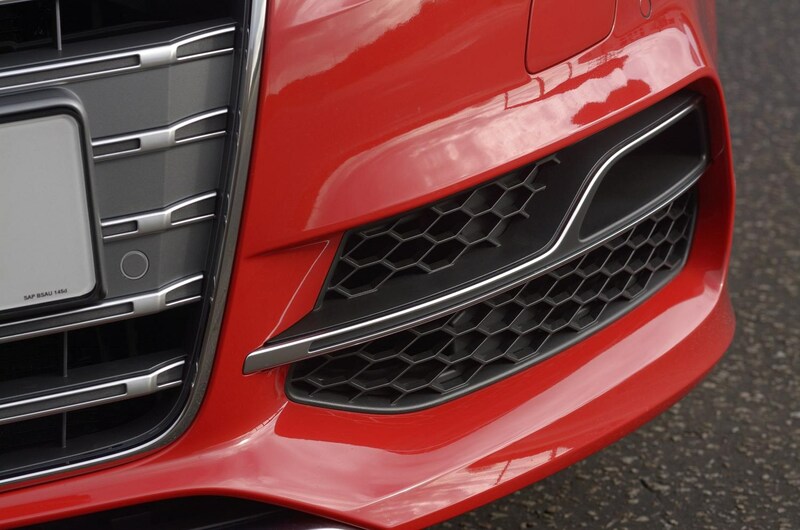 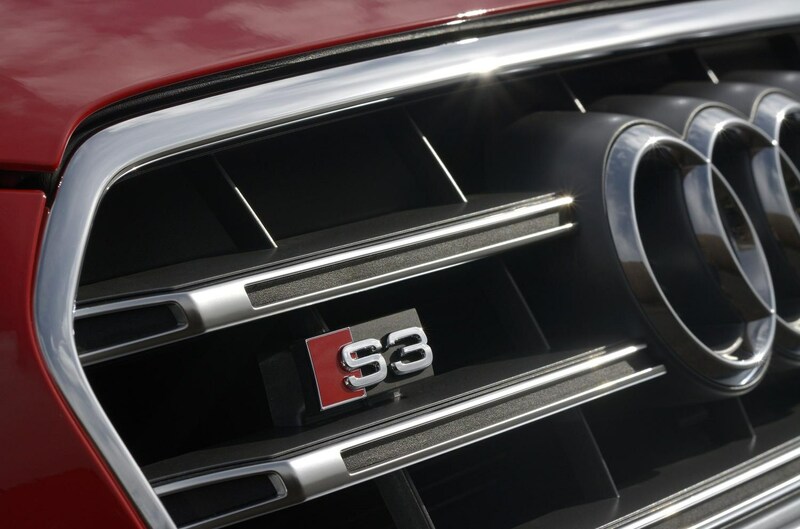 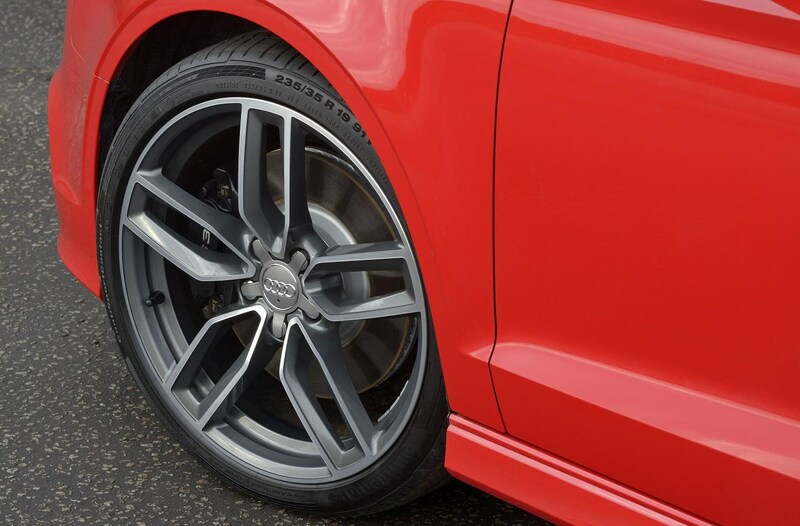 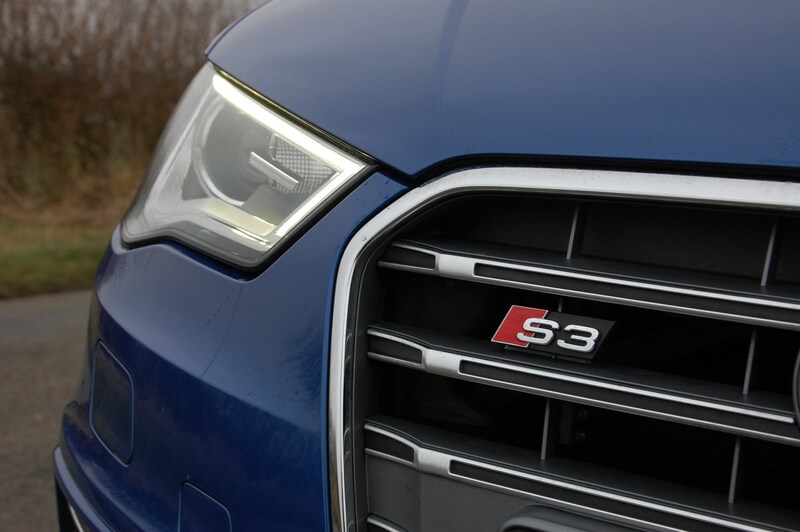 The S3 has quattro permanent all-wheel drive and it runs on 18-inch alloy wheels that have an S-specific design with five parallel spokes which means you can clearly see the black brake calipers with S3 logos. 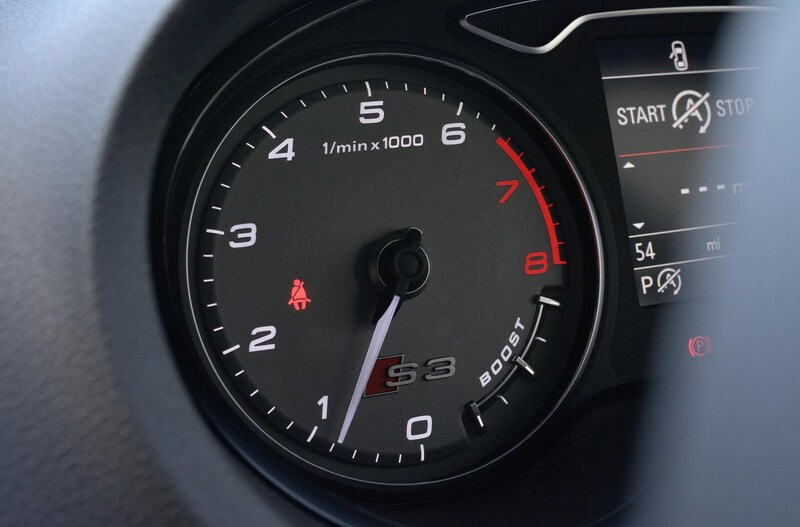 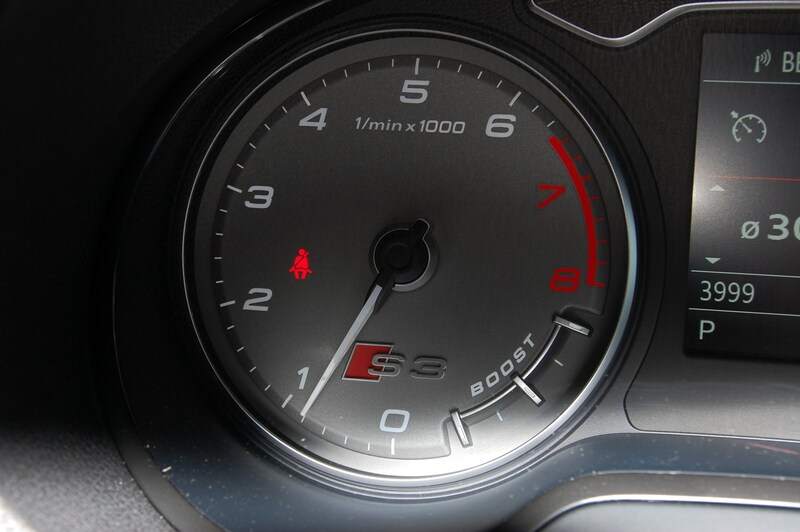 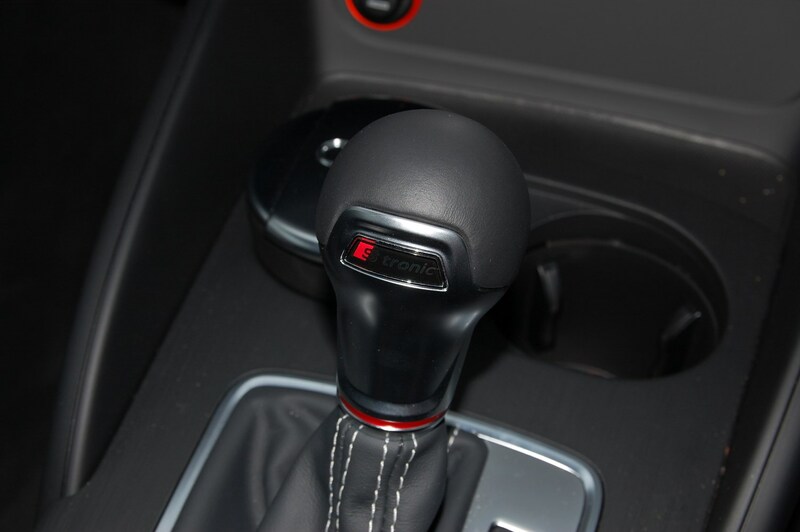 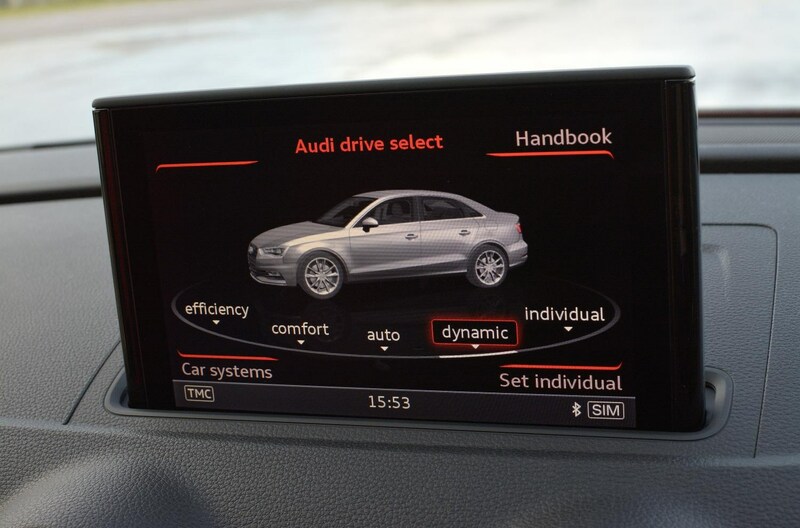 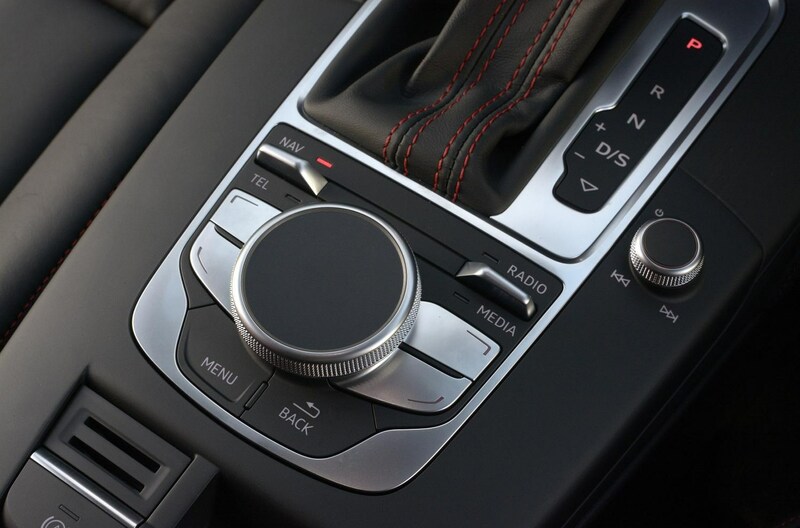 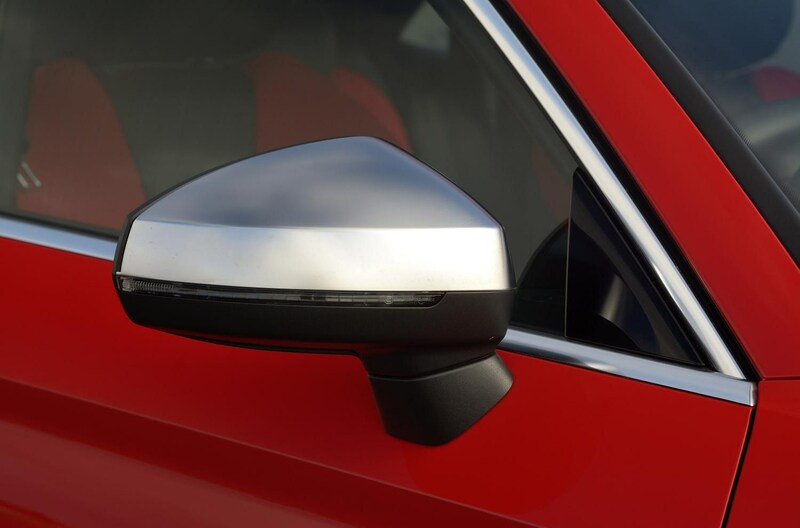 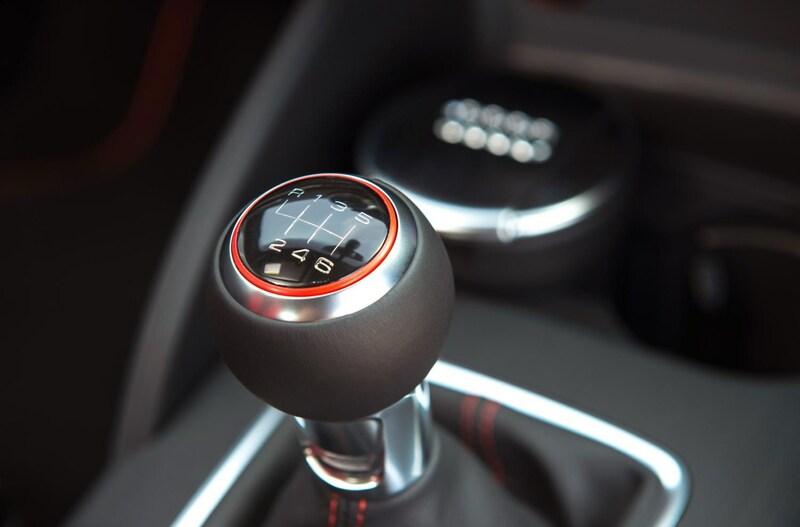 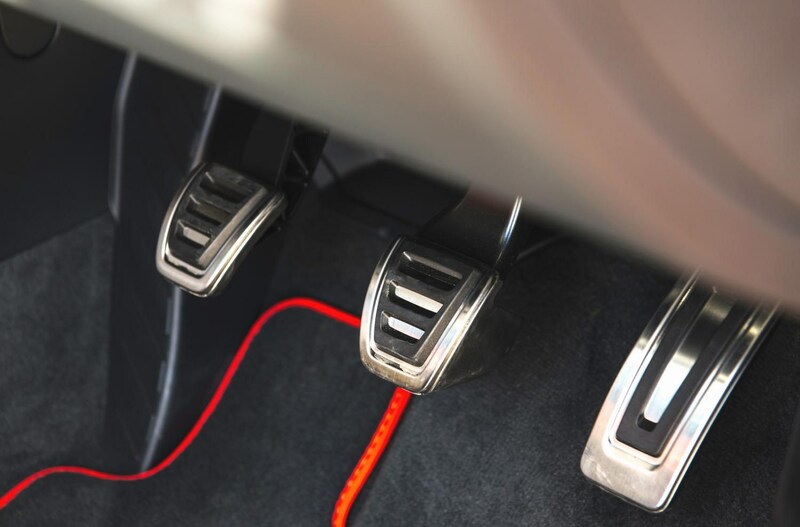 Audi drive select is standard in the new Audi S3 and that allows you to choose between different driving modes that increase the throttle response and steering weighting according to conditions and preference. 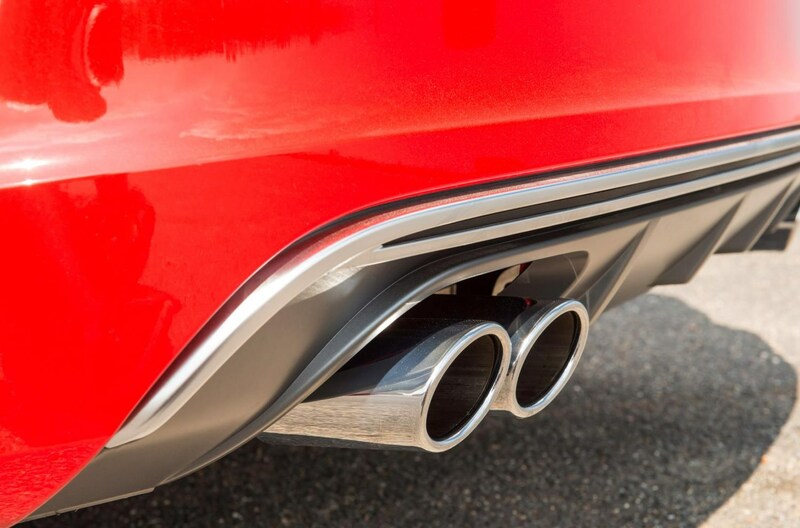 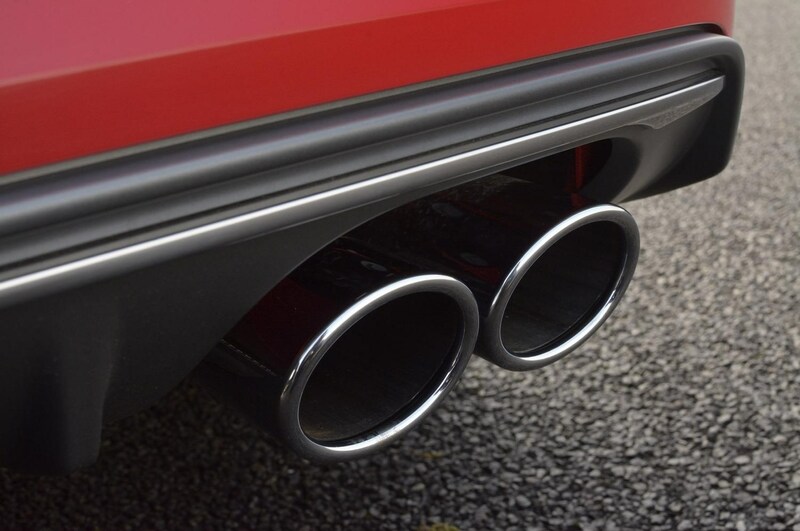 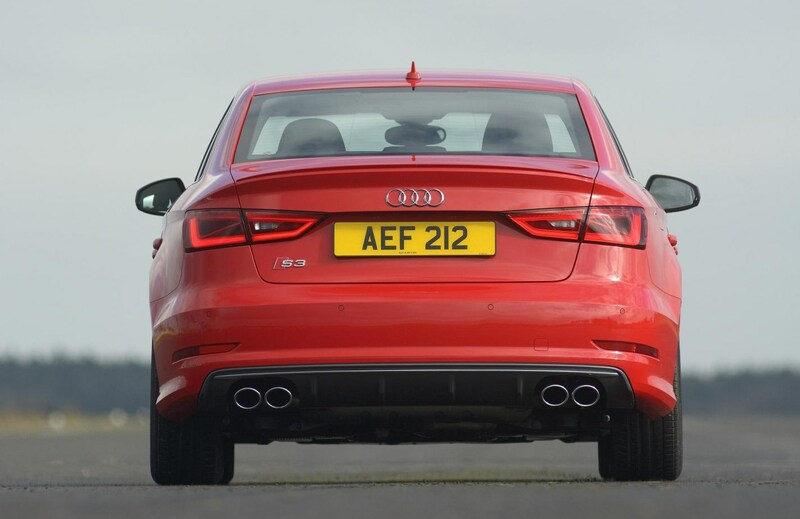 A diminutive body-kit adorns the exterior of the car – in fact, the twin tailpipes at each rear corner are the only really obvious hint to its performance pedigree. 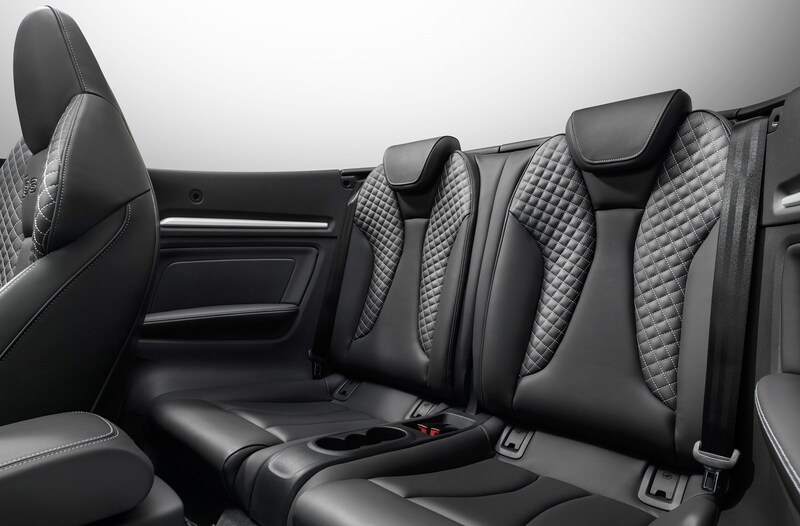 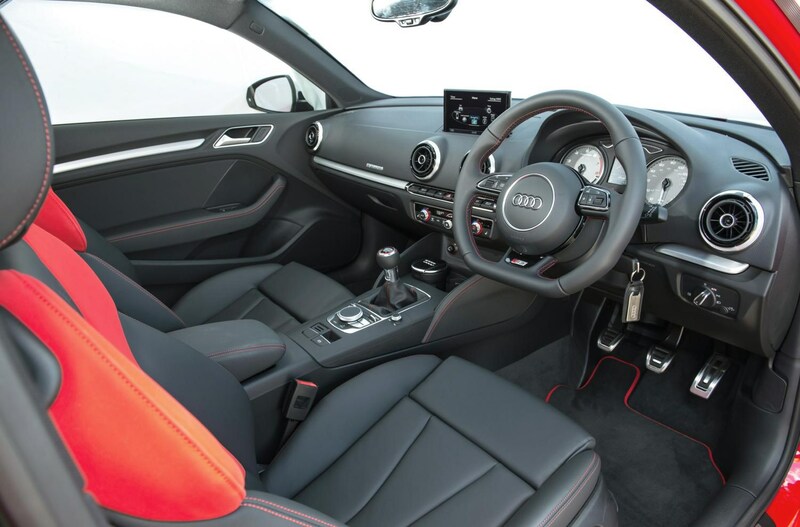 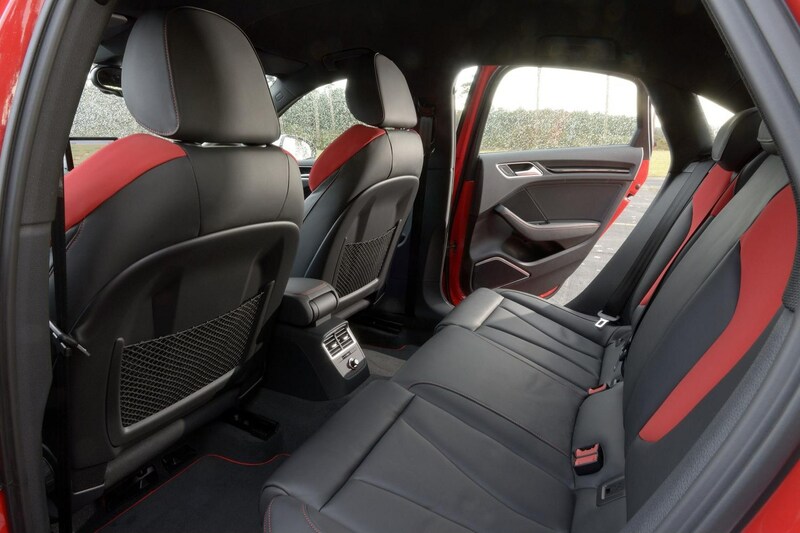 Inside, there’s a typically high-class Audi cabin with top-drawer materials and a clever multimedia system which provides myriad features for the driver. 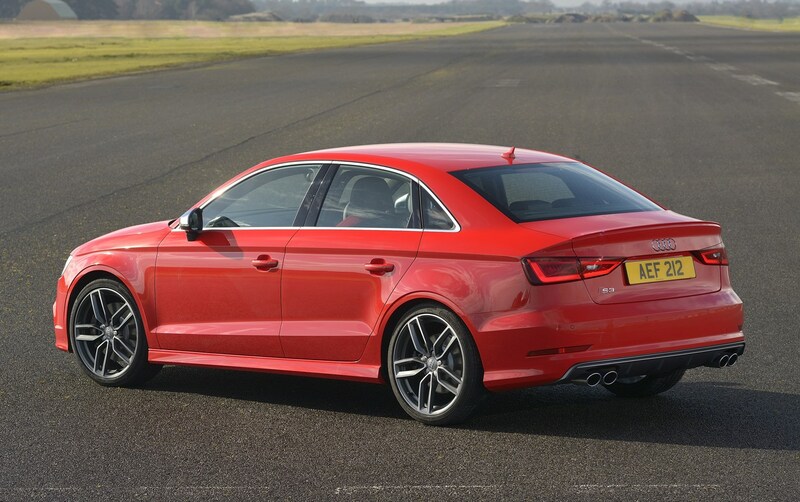 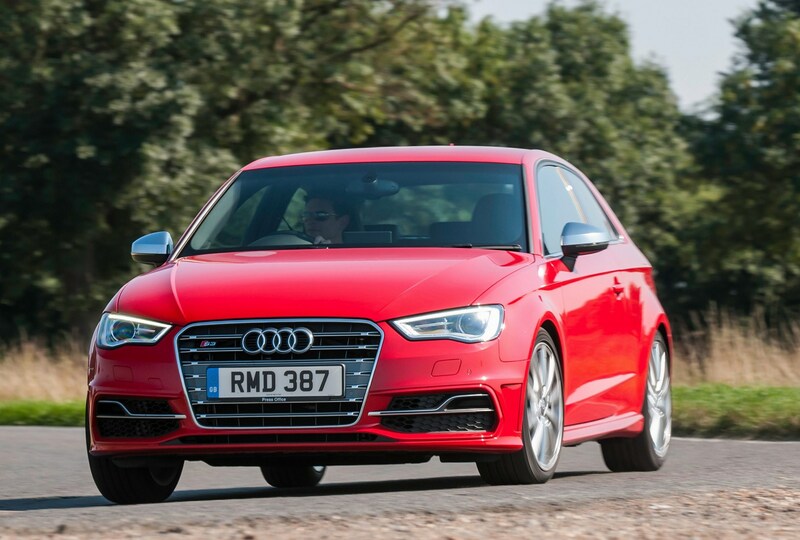 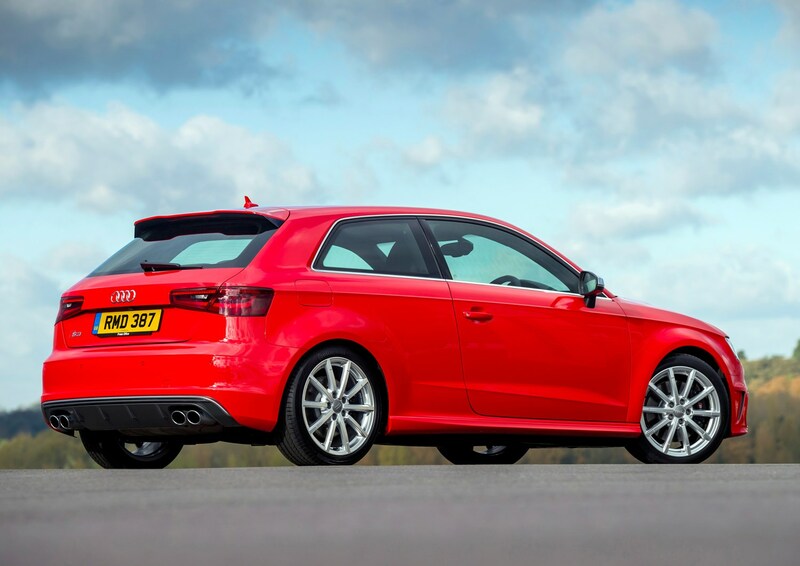 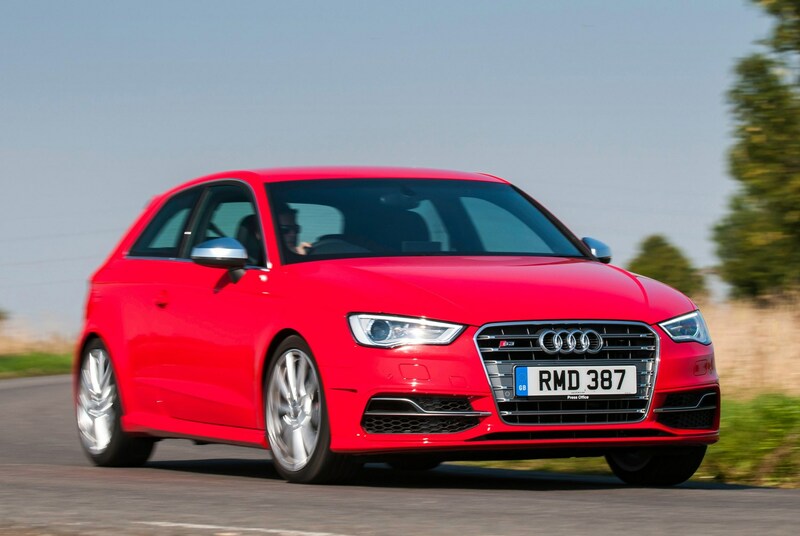 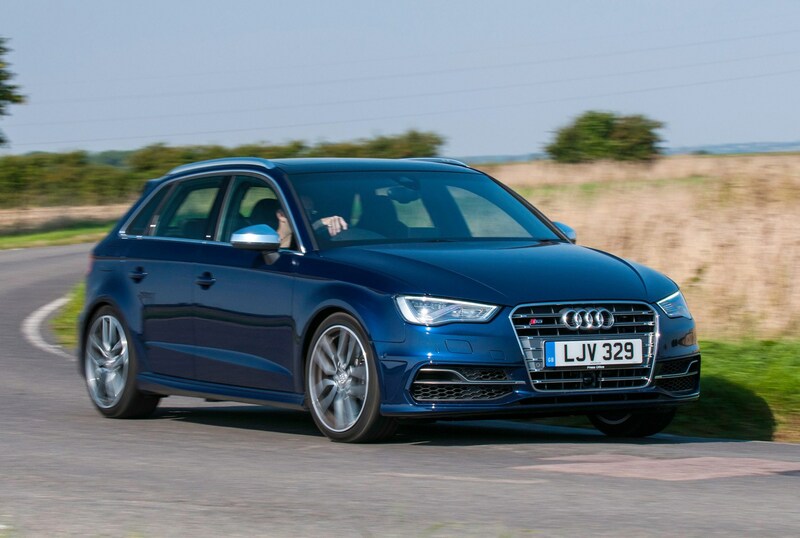 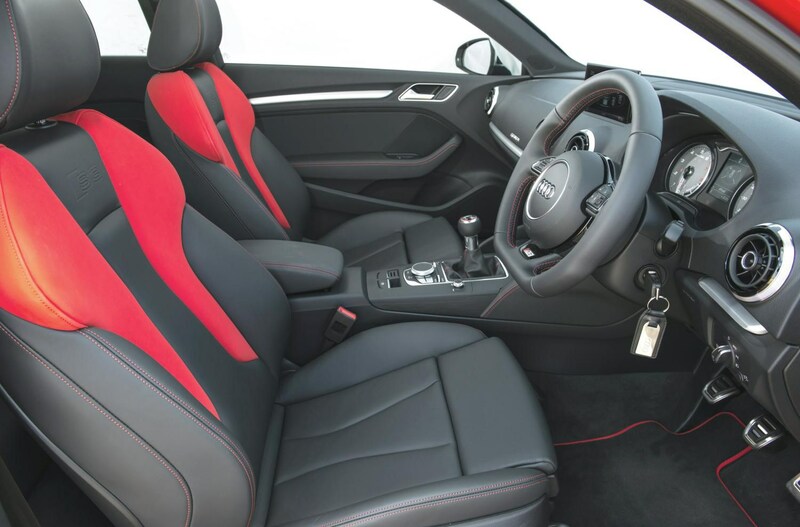 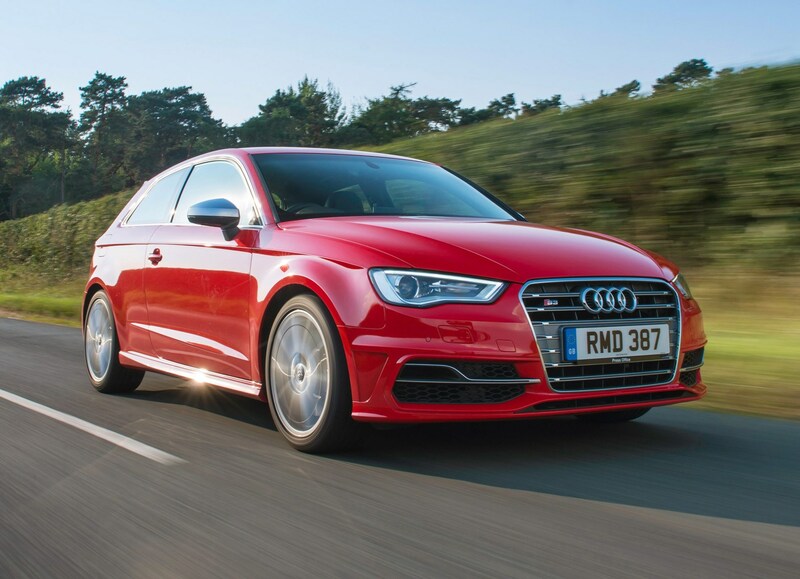 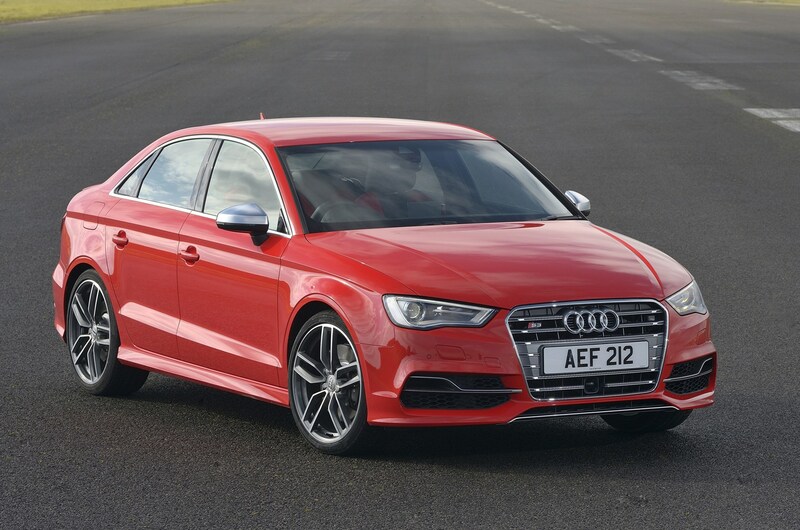 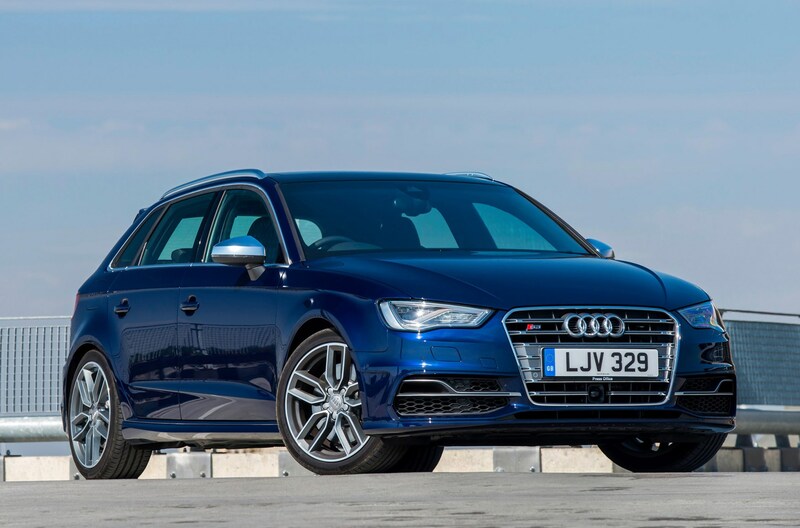 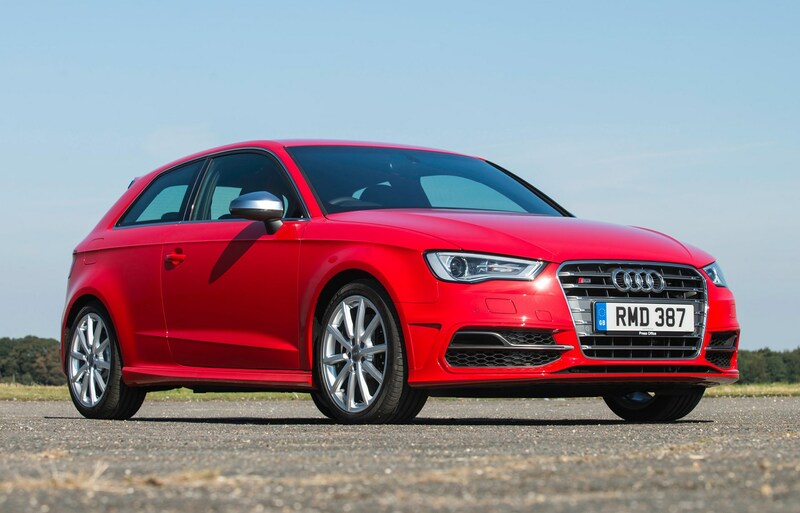 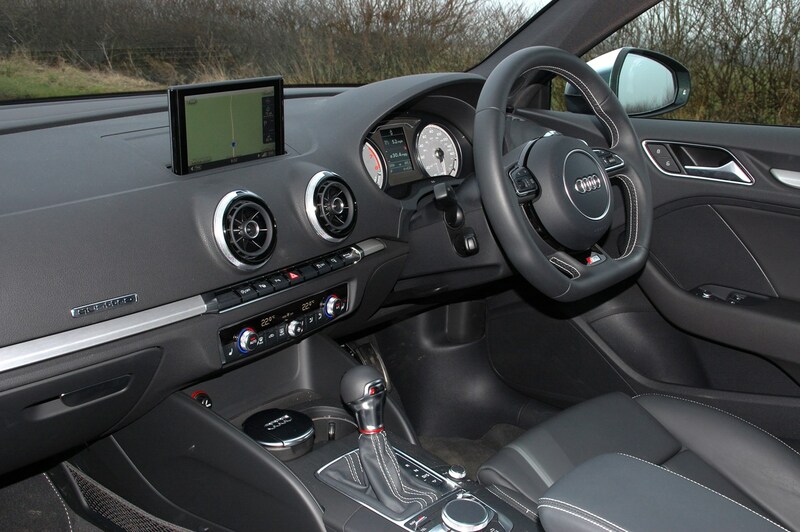 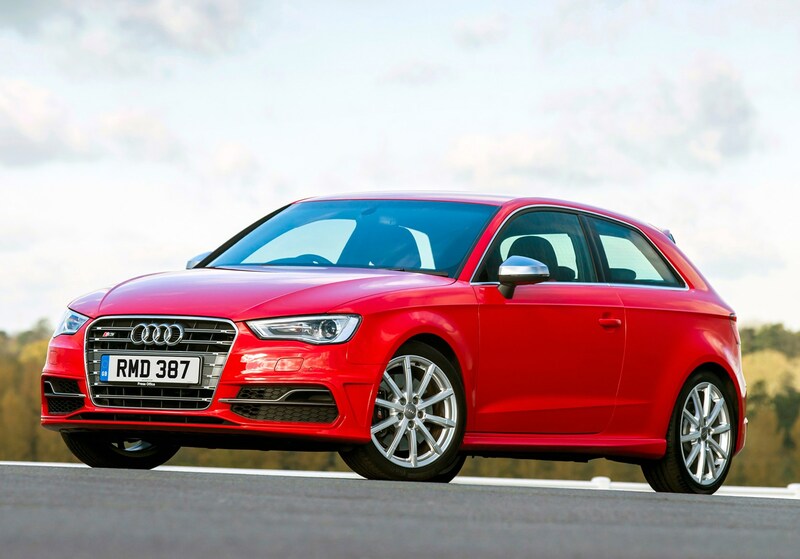 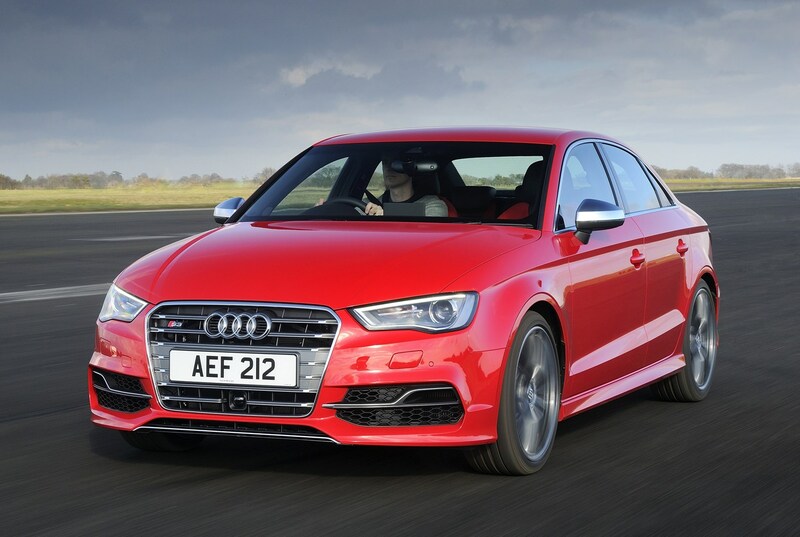 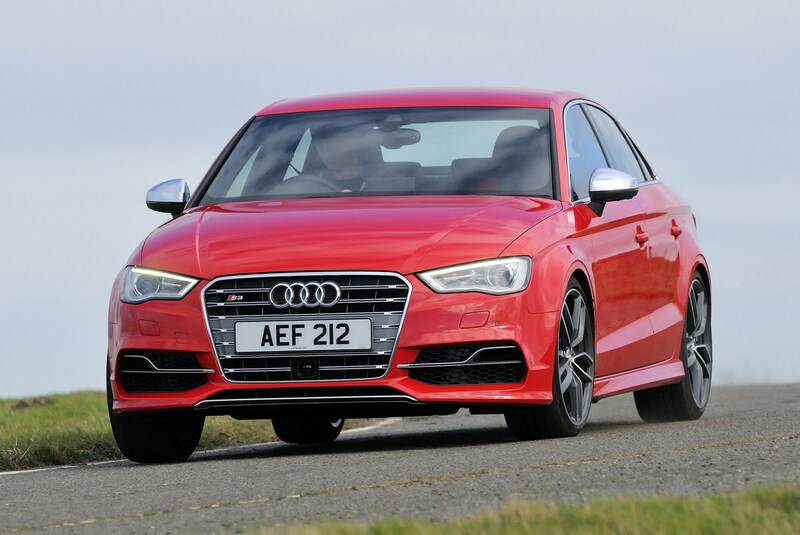 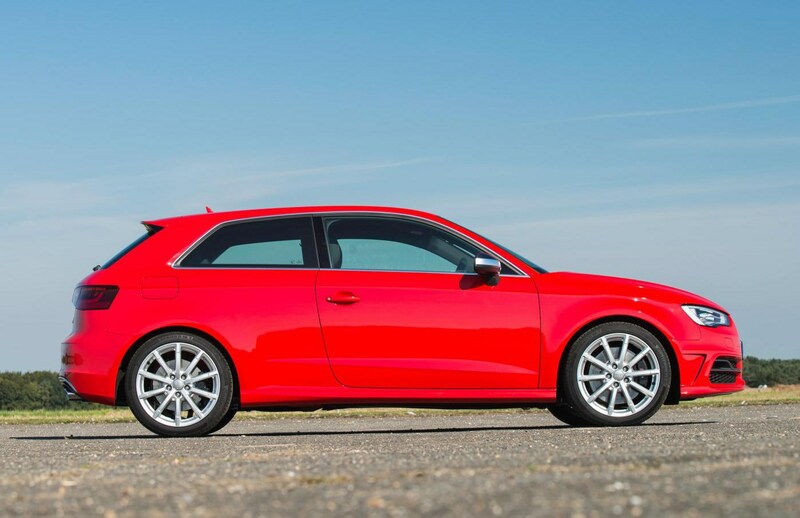 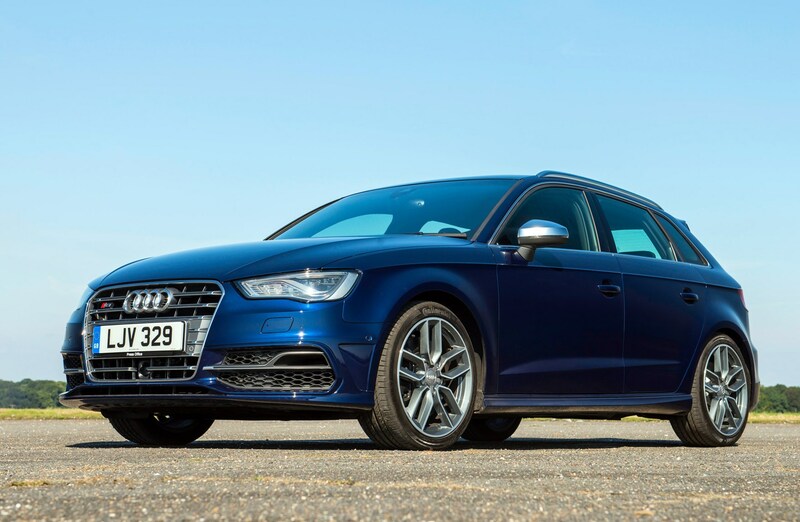 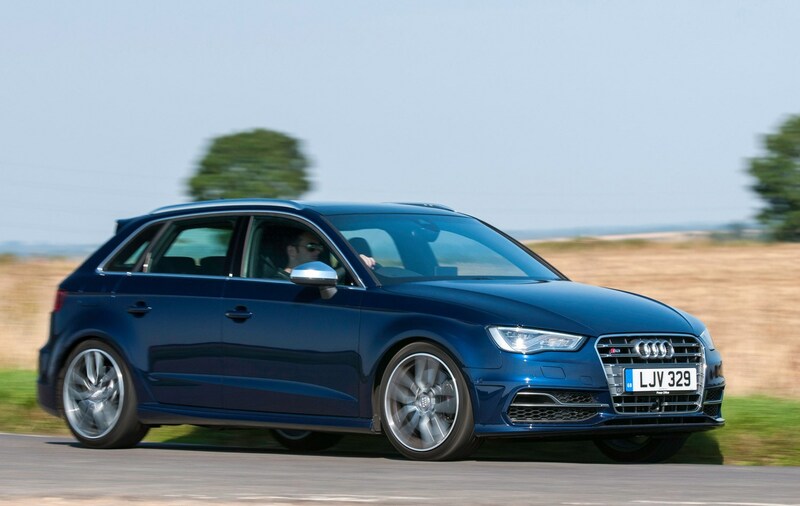 For our full evaluation, read on for our full Audi S3 review. 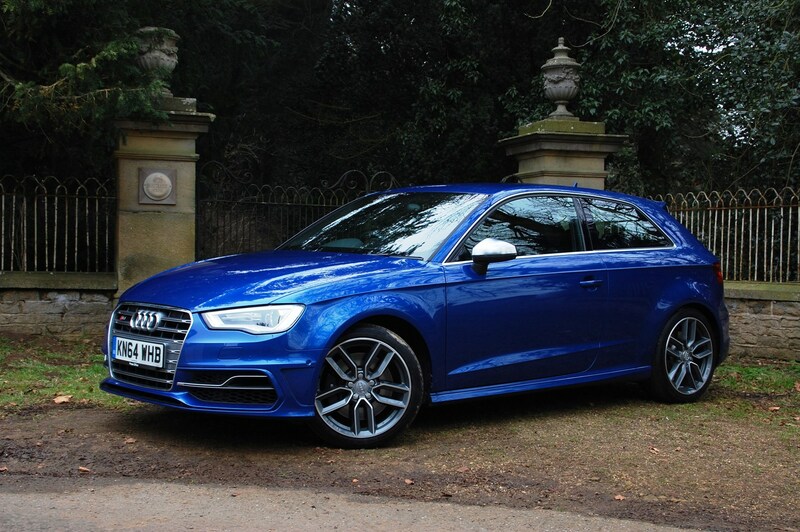 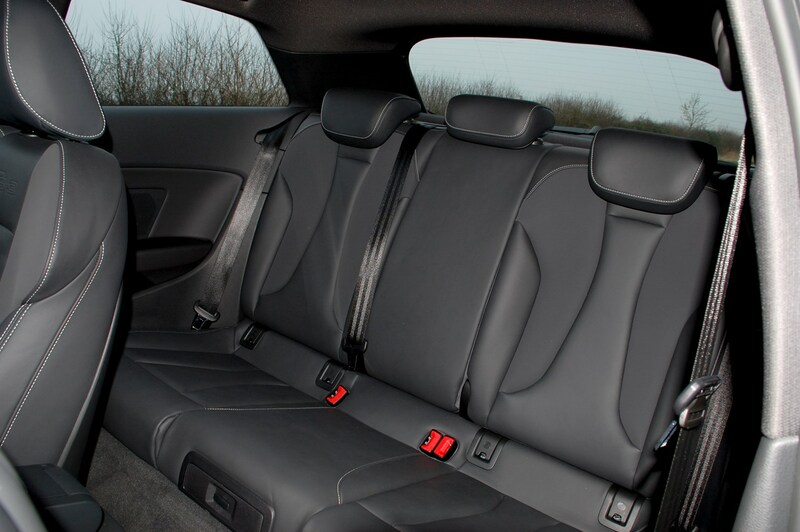 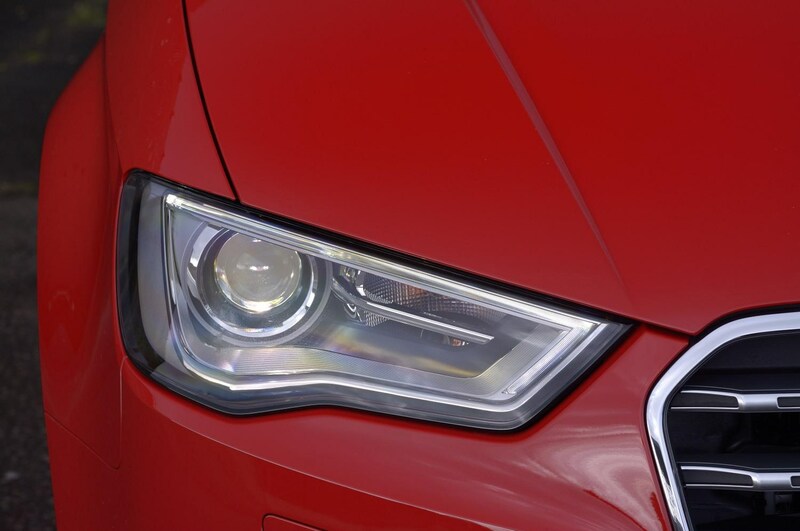 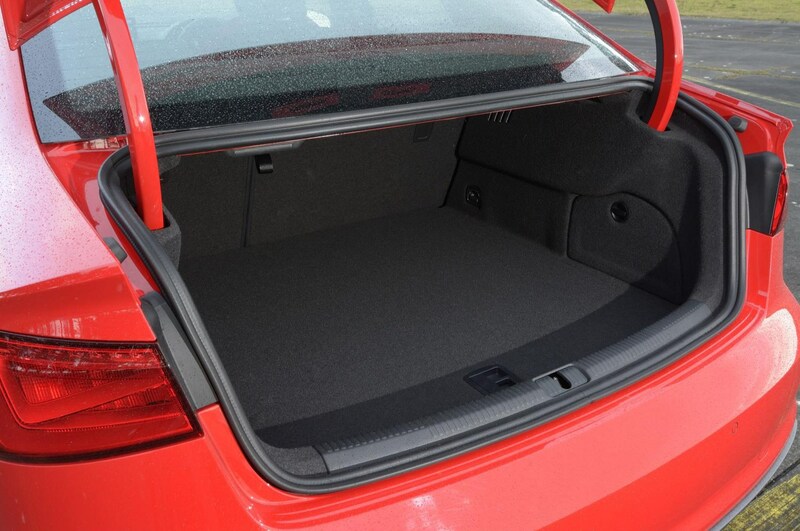 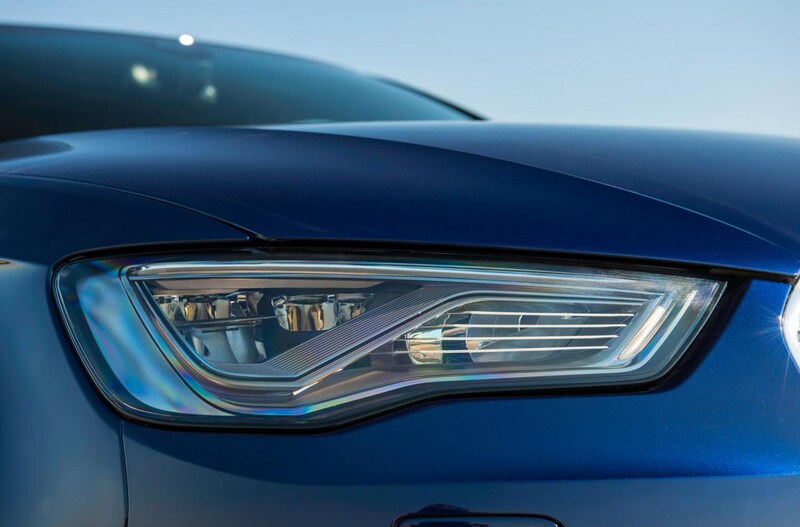 Did you know the most popular review for the A3 range is the Audi A3 Sportback review.